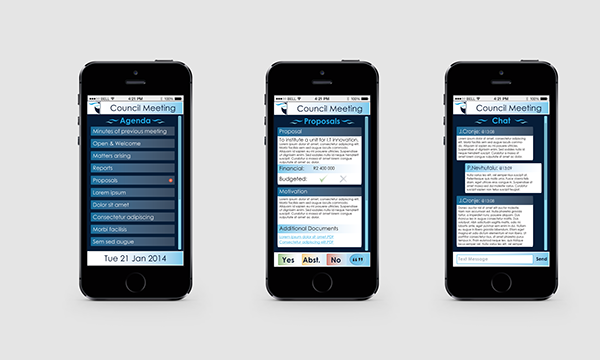 Look and feel mock ups for an App that would minimise paper usage and allow interactivity in council meetings. 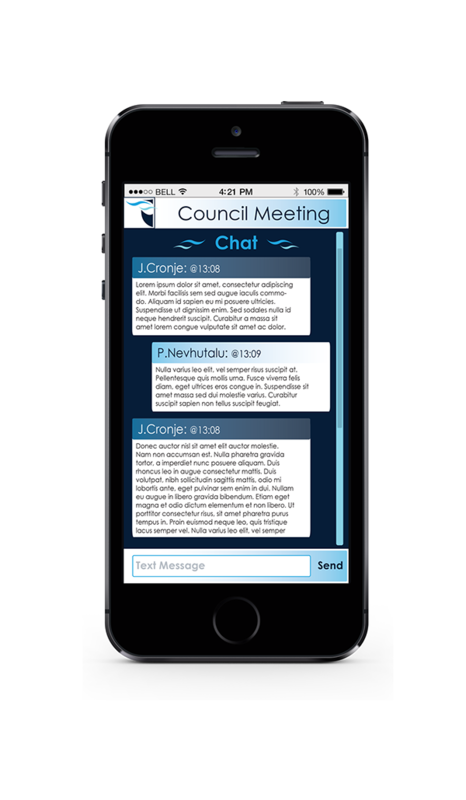 The App was conceptualised by Prof Johannes Cronje and would allow the council to vite on new proposals, utilise a chat funciton to gain a better understanding on topics as well as give real time updates on the agenda and status of points. This is part of an innovative decision to minimise wastage and further advance in technology throughout the university. 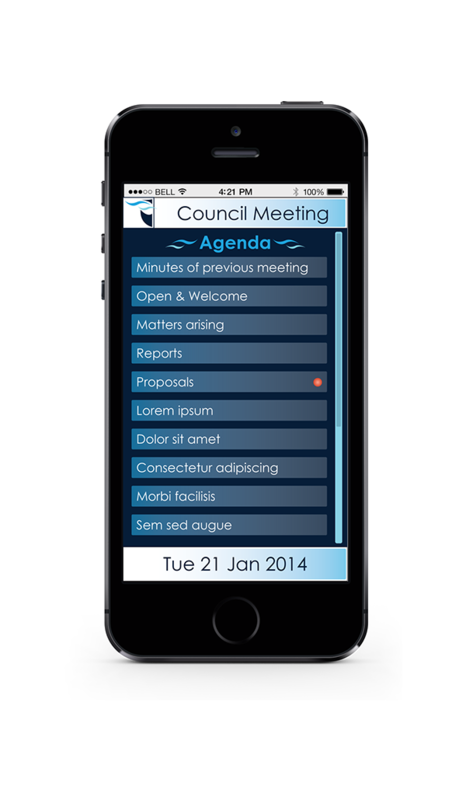 Front end App design: Council Meeting Look and feel mock ups for an App that would minimise paper usage and allow interactivity in council meetings. 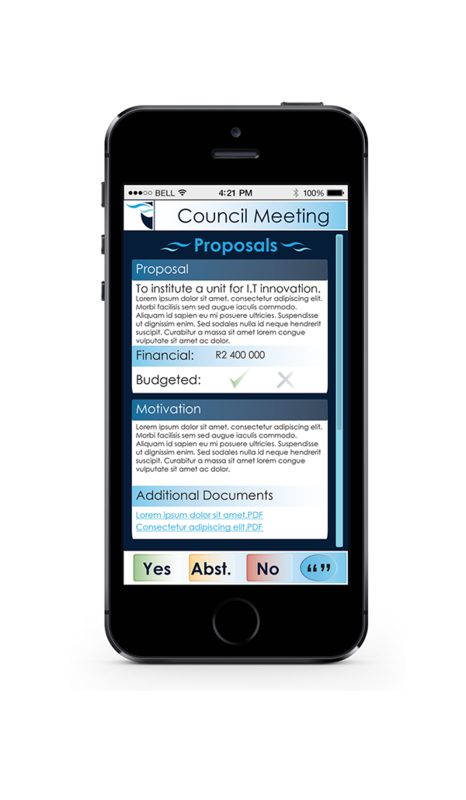 The App was conceptualised by Prof Johannes Cronje and would allow the council to vite on new proposals, utilise a chat funciton to gain a better understanding on topics as well as give real time updates on the agenda and status of points. This is part of an innovative decision to minimise wastage and further advance in technology throughout the university.